The flowers are popping up and the temperatures are rising. Spring is here! 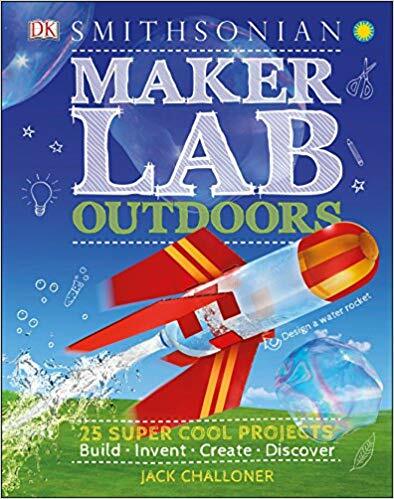 Make the most of it by heading outdoors with this book: Maker Lab Outdoors from DK. You’ll discover 25 projects to spark kids’ creativity and get them exploring. You can win this book. Submit a comment to this blog by Wednesday, April 10, and let us know what your favorite sign of spring is. (Update: Congrats to Sandy, our lucky winner!) One lucky teacher will be randomly selected to win the book. Good luck! Here are some other exciting freebies that sprung up this week. Check them out. Do your students sometimes get hung up on a math homework problem? 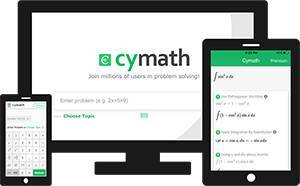 Students and parents can enter problems and see step-by-step solutions plus check out more practice problems at cymath.com. Click here to take a look. Every classroom space is unique. 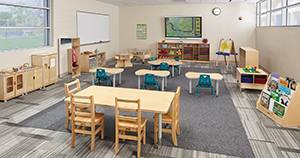 Get a free classroom layout especially for your room from the design experts at Jonti-Craft’s Room Design Service. Complete the form to show where your doors, windows, sinks, and built-ins are and supply some basics on class size and student age. Jonti-Craft will do the rest! Check it out: jonti-craft.com/Roomdesign. With AnswerGarden, you’ll get an instant overview of the most popular answers to a question you’ve asked your class. The app is free at answergarden.ch. My favorite sign of spring is when the days get longer. Spring forward can be painful, but more light in the evenings sure is nice for a night owl like me! PS: Check out last week’s blog post here. The blooming of the forsythia is my favorite sight. The air smells so fresh and clean. It lifts my spirits! Robins singing and woodpeckers drilling my downspout! The blooming of daffodils, lilacs and grape hyacinths. There’s no doubt about it. It has to be daffodils! I think the noise of the kids who are excited to be runnng around outside in the warmer weather! The season of renewal in full blossom, the rainbows that follow a spring shower, a bright green meadow and the beautiful sounds of birds singing. My favorite sign of spring is when the jonquils start to bloom. They line the road that I travel to school! The sunshine and spring rains that bring rainbows! Seeing the wildflowers bloom along the Texas highways. My favorite signs of spring are the days getting longer, the snow melting and the days getting warmer! Birdsong and the smell of the spring air! I love feeling the warmth of the sun again and working in my garden. My favorite sign of spring is a crocus starting to bloom. My favorite sign of spring is seeing the flowers starting to bloom. My favorite sign of spring is the longer days. more sunshine hours in the evening. My favorite sign of spring is when daffodils and tulips begin blooming. My favorite sign of spring is when the flowers begin to bloom! I love the smell of grass that has just been mowed! No allergies here! Favorite sight of Spring is all the birds. The sprouting of grape hyacinths and daffodils.